I’m interested in your build but one thing i didn’t see were your champion points? I would b einterested in knowing what you went for them. this is probably already there and just didnt see it, but what type of armor does this build use? I think the champion points the next magician 100, arcanist the rest, elemental expert 100, staff expert and spell Erosion 1,1 the rest to Elfborn. Hardy or elemental Expert 5-100 or 100-5 Spell Resistance 10 the rest to Quick Recovery. does anyone know if this would work with a breton ? This build is out of date, ive been meaning to update it to my new post-DB build. My armor was indeed 5L 1H 1M(and still is). Yes the build will work for a breton, however you will have slightly less max damage and more regen. 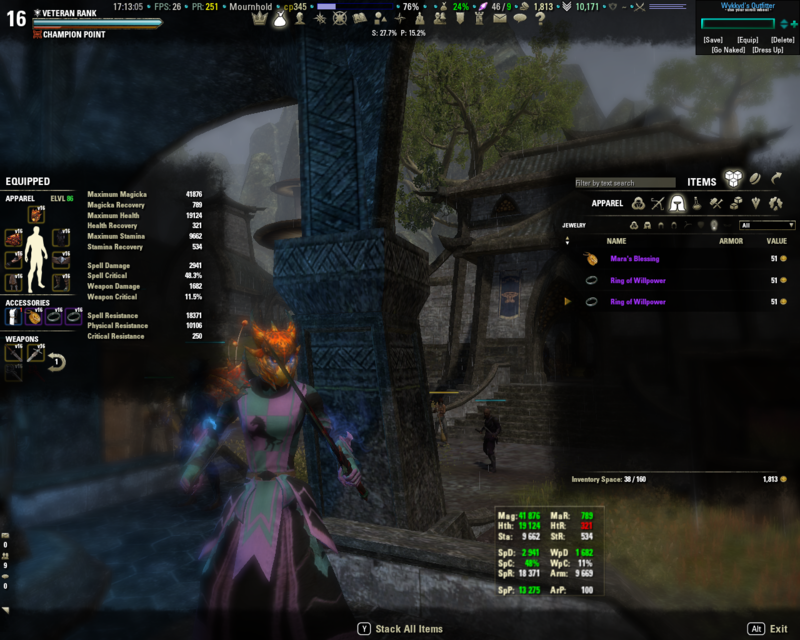 This should give you more sustain than the altmer equivelent, which is good as mana regen is the main weakness of this build pve wise. You might even be able to ditch the spell sym, as altmer unless i have a a healer pumping my magicka i have to rely on it alot. I’d imagine the armor type would be 5 light, 1 heavy (chest), and 1 med (head) for undaunted resource passive. Hey man, i’d be interested in an update of this build thats CWC ready if you have one?